We salute you! 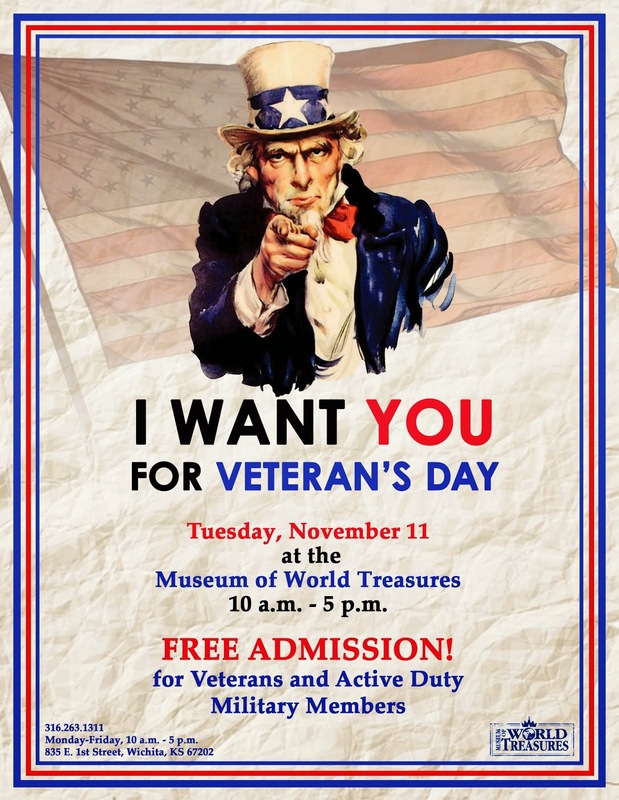 On Veterans Day, Tuesday, November 11 the Museum of World Treasures will offer free admission entry for all active military and veterans. Please bring a form of military ID or veterans benefits or organization card. Thank you for your service! The history of Veterans Day dates back to World War I. Although “The Great War” officially ended when the Treaty of Versailles was signed on June 28, 1919, fighting ceased seven months earlier when an armistice went into effect on November 11, 1918. Visit the Museum to learn about military history and veterans throughout the ages. For more information, please visit our website or call 316.263.1311.